Casella, air sampling, noise and vibration monitoring specialist introduces the Flow Detective™ air sampling pump calibrator. The product is the first in the industry with the ability to measure pulsation, with a 70-hour battery life; the longest on the market and double the duration of competitive products. There is an estimated 18,000 new cases of breathing or lung problems a year caused or made worse by work, and an estimated 12,000 deaths from lung diseases linked to exposure at work. It is an employer’s duty to protect the health of employees through health surveillance and exposure monitoring. 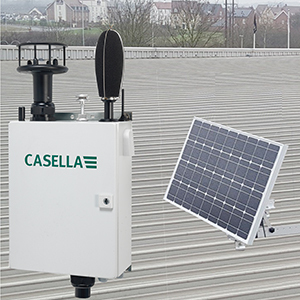 Air sampling is crucial and Casella’s latest Flow Detective™ is a robust solution allowing air sampling pumps to be calibrated, ensuring the pump has the correct flow, with traceable measurement results. The Flow Detective™ is an electronic flow meter calibrator, designed to measure the flow of air sampling pumps to within 2% accuracy. The device will be the first on the market with a Bluetooth connectivity, through Casella’s Airwave App. Airwave is the only app of its kind providing remote control for dust and noise monitoring devices, enabling calibration results to be sent via email, ensuring improved traceability and pump calibration procedures. As well as detecting air flow, the Flow Detective™ is the first calibrator on the market with the ability to measure pulsation, indicating if the air flow pulsation exceeds 10%. Air sampling pumps must have a pulsation level less than 10% if they are to adhere to ISO 13137. Excessive pulsation means an unsteady flow and has a detrimental effect on the ability of cyclone air samplers to collect the correct fraction of respirable dust. 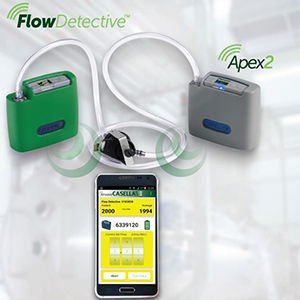 The Flow Detective™ can be used with any manufacturers air sampling pumps, but for Casella’s Apex2 personal dust sampling pump, the Airwave App allows for closed loop airflow calibration with the ability to remotely set the flow via Airwave, so no manual settings have to be done on the pump or flowmeter, drastically saving time when calibrating pumps. The Flow Detective™ will save professionals additional time due to its simple user inter-face, colour-screen and wide flow measurement range, which can be used for all personal flow use with any pump. The Flow Detective calibrator saves significant time compared to other electronic or traditional bubble flow meter calibration methods minimizing set up prior to undertaking calibrations and enabling tagging pre and post calibration data. The device is also functional for both dust and vapour sampling from 25mL to 5L per minute. As it also measures temperature and pressure, this gives peace of mind that the units will always be accurate, regardless of the environment. Peoplesafe have unveiled the World’s smallest and lightest personal safety device – MicroSOS, at this year’s Safety and Health Expo, held at London’s Excel between 19th to 21st June 2018. 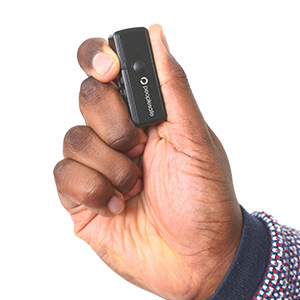 Exclusively developed by Peoplesafe, the MicroSOS includes the latest A-GPS, GSM and Man-down technologies, in a design the size of a USB stick. The device is also fully dust and waterproof to IP67 rating, making it ideal for outdoor environments. Fully certified to BS 8484:2016, the British Standard for Lone Worker Services, the compact MicroSOS weighs just 27 grams. The MicroSOS is an evolution of the Peoplesafe’s popular MicroGuard device, but even more discreet and flexible to use with a range of bespoke accessories including a holster, ID badge holder and magnetic docking station. At the touch of a button, MicroSOS connects to Peoplesafe’s 24/7 Alarm Receiving Centre certified to the highest industry standards, including BS 8484, BS 5979 (CAT II), ISO 9001, ISO 27001 and Secured by Design. Marketing Director, Will Murray said, “We are really excited to unveil the revolutionary MicroSOS, at this year’s Safety and Health Expo. “It’s predecessor – the MicroGuard has been proven in use, delivering effective help to thousands of vulnerable people, whilst being convenient to carry and easy to use. The MicroSOS incorporates more features and cutting-edge technology, packed into an even smaller and simpler design. Peoplesafe is part of the World’s largest lone worker protection provider – the Send For Help Group, which includes subsidiaries Skyguard and Guardian24. Peoplesafe demonstrated the MicroSOS on their exhibition stand in the Lone Worker Arena, alongside sister company Skyguard. Whilst Guardian24 exhibited in the co-located show IFSEC. In addition to exhibiting, both Peoplesafe and Skyguard will be hosted educational seminars explaining best practice when visiting clients; at the Lone Worker Theatre and in the International Firex Show, which were very well received. For more information on Peoplesafe’s products please call: 0800 990 3563 or visit www.peoplesafe.co.uk. CHELMSFORD, MASS.—ZOLL® Medical Corporation, an Asahi Kasei Group Company that manufactures medical devices and related software solutions, announced today that the London Fire Brigade (LFB), the busiest fire and rescue service in the United Kingdom and one of the largest firefighting and rescue organizations in the world, has standardized on the ZOLL AED 3 ™* BLS (basic life support) automated external defibrillator. LFB is the first rescue service in the U.K. to implement the ZOLL AED 3. A total of 184 ZOLL AED 3 BLS units are now in use in throughout LFB’s 103 fire stations, which provide emergency service 24 hours a day year round. According to LFB Assistant Commissioner Richard Mills, Head of Operational Policy and Assurance, following the July 2005 terrorist attack, the LFB implemented the Immediate Emergency Care (IEC) Programme, which provides clinical guidance for patient care for all LFB crews. Part of the programme mandates that all front line fire engines, fire rescue units, fireboats, and rapid response teams be equipped with AEDs. The ZOLL AED 3 is now the AED for the IEC. He said that placing the ZOLL AED 3 into child mode is a significant feature, having only to depress a button. Parker also commented on the uniqueness of the ZOLL AED 3’s RapidShock™ Analysis technology, which decreases heart analysis time and pauses in chest compressions. LFB also cited that Wi-Fi capability was another significant factor in selecting the ZOLL AED 3. Cloud connectivity enables automatic reporting of device status, giving rescuers the confidence the AED is ready in an emergency. Wi-Fi also provides the ability to quickly access and transmit cardiac arrest event data to medical professionals. 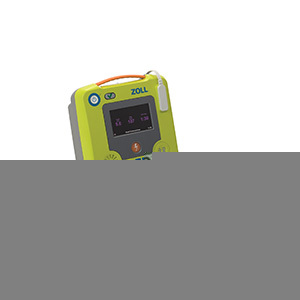 The ZOLL AED 3 BLS is designed and built upon years of usability research with both trained and untrained rescuers. It is designed specifically for the needs of professional rescuers. This model offers a CPR Dashboard™, which shows critical information such as theECG, compression depth and rate, CPR cycle countdown timer, shock count, and total elapsed time. The ZOLL AED 3 BLS is among the fastest AEDs at delivering a shock after each period of chest compressions. 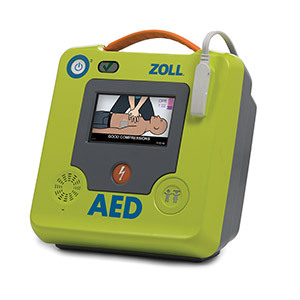 The ZOLL AED 3 is equipped with universal adult/paediatric electrode pads and a battery that lasts five years, which means less maintenance, a lower cost of ownership, and an AED that will be ready for the rescue. SCA is an abrupt disruption of the heart’s function, which causes a lack of blood flow to vital organs. It is the leading cause of unexpected death in the world and strikes without warning. When sudden cardiac arrest occurs, only half of the victims will need a shock, but all will require CPR. Unfortunately, in most countries, survival rates are typically less than 8%; improvements in resuscitation practices could save as many as half of these victims. 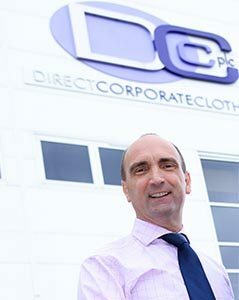 Direct Corporate Clothing (DCC) has promoted Nick Atkinson to commercial and operations director as it targets £50m turnover. In his new role, he will oversee the day-to-day operations of the business. Atkinson joined the DCC board in 2016 as part of the acquisition of The Business Wear Company, which has now successfully merged with DCC. Bywaters, London’s largest undercover waste management company, is piloting a solution designed to overcome the difficulties of recycling paper coffee cups on UCL’s campus in London. An estimated 2.5 billion disposable coffee cups are used in the UK each year, creating around 25,000 tonnes of waste. In March the Government’s Environmental Audit Committee launched an inquiry into the impact of cup waste. This has prompted the need for a sustainable solution to their disposal and recycling. The difficulties in recycling paper coffee cups are two-fold – in their composition and in any contaminants. To make paper cups waterproof, card is fused with polyethylene, a material that is difficult to separate from the card. In addition, some discarded coffee cups are used as mini litter bins and contaminated with discarded food. For these reasons most disposable paper coffee cups are sent with other general waste to landfill or taken to local waste energy plants for conversion into refuse derived fuel (RDF) to generate electricity. 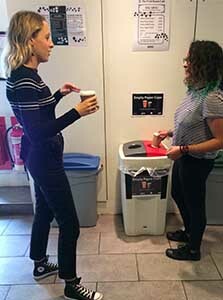 In an innovative new scheme involving a partnership between Bywaters, Facilities Management partners Sodexo and Tenon Groupand UCL, students at UCL are being given the opportunity to make a sustainable difference to the way in which used paper coffee cups are processed. The scheme is a two month pilot which, it is hoped, will confirm the viability of rolling out a permanent paper coffee cup recycling service. Various factors are to be assessed including what mixture of cups are to be collected, weekly quantities, cost of logistics and how to remove contaminants. 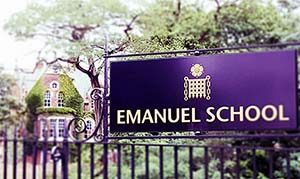 The scheme is to include all paper coffee cups, paper soft drink cups, paper vending machine cups, and paper water fountain cups from UCL’s buildings in central London. Bywaters is to provide the logistics and collection of paper coffee cups to be converted into high-end products such as shopping bags and perfume boxes. Bywaters will collect the designated bins then bale up all paper coffee cups to a mill where they will be pulped and the polymer plastic liner separated so all the paper fibre can be recovered and recycled. Paper cups tend to contain a very high grade of paper and this trial will allow recovery of the paper cups as high grade paper, which has a higher value than lower grades. Bywaters’ Materials Recovery Facility (MRF) in East London is capable of processing up to 650,000 tonnes of material a year, recovering over 95% of collected materials including plastics and paper. The company’s aim to help all clients achieve at least 80-90% of their recycling targets through continuous innovation. 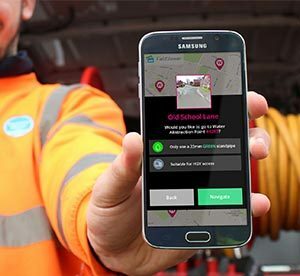 Lanes Utilities has developed an app that promises to revolutionise the way water abstraction is carried out by wastewater companies. The app pinpoints 130,000 abstraction points across the Thames Water region and key neighbouring areas. 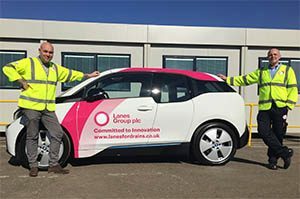 Lanes Group plc has taken delivery of its first electric car to support its strategy of delivering sustainable utility wastewater and drainage services. It now has a BMW i3 to support its front-line teams – with supervising staff using it to visit worksites and attend client meetings.